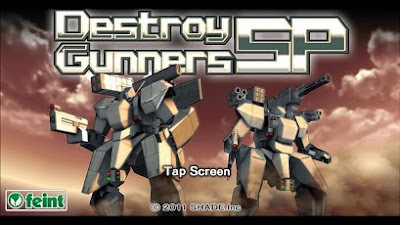 Destroy Gunners SP』brought out the limitation of the performance of the newest smartphones. 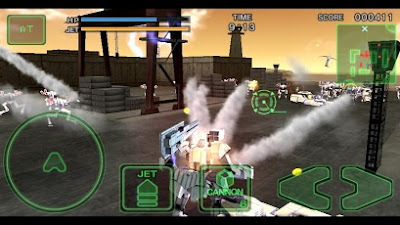 This title is new generation 3D action shooting game that exceeded any past game machines. 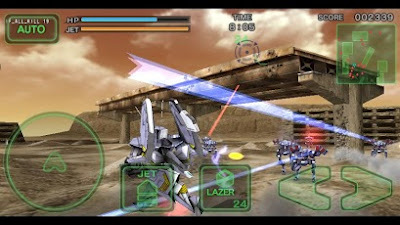 and any player can experience impressive battle scenes easily. 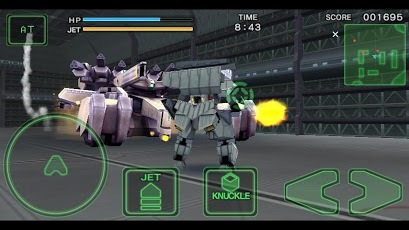 To accomplish missions, the player destroy numerous enemies with get arms. and challenge more higher,severe missions and mighty boss! Significant buildup of maps and arms from free version:『Destroy Gunners F』. 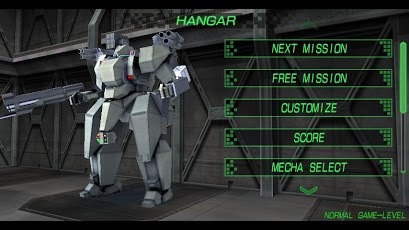 Also, the player can choose player's robot from many types. Customizable robot system allows that the player can set and change parts to create original armed robot. This game supports community functions of score ranking and achievement by“OpenFeint”. The player can contest score and skill with players whole over the world.